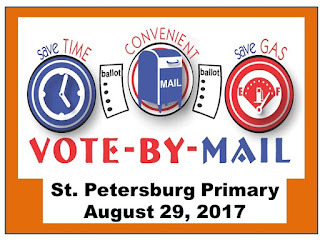 BAY POST INTERNET: Have you voted your mail in ballot for the St. Petersburg Primary? 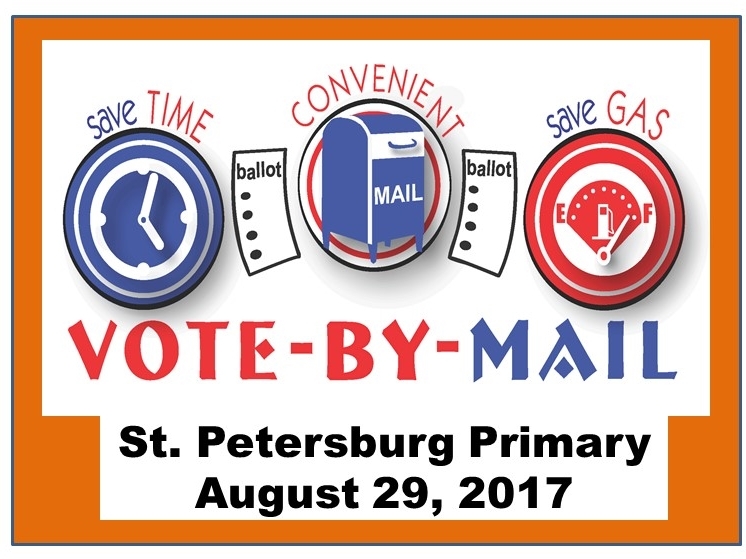 Have you voted your mail in ballot for the St. Petersburg Primary? I’ll leave the politics to another Post; you want your voice to be heard in this election. 58,649 ballots were mailed to registered votes for the August 29 St. Petersburg Mayor’s Primary election. 20,367 were returned. 8,768 Ballots were mailed in the District 6 Primary election. 2,533 were returned. You can get a current update at St. Petersburg Primary Election Mail in Ballot Status. All voted by mail, Voter Information in Pinellas County you can check the status of your mail in Ballot. If you requested a mail in Ballot and have not yet returned it, it is time to look around the house or apartment find the ballot, vote and mail it back. This is an important election and will determine the direction of St. Petersburg for years to come. I’ll leave the politics to another Post; you want your voice to be heard in this election for the Mayor’s office and for the Council district. In these off-cycle elections turn out is usually low, so every vote is important to the candidates. Right now, the important point is not WHO you support for these offices it is all about you participating. Need information of mail in Ballots, Precincts or other election questions check out the Pinellas County Supervisor of Elections web site. Safe and secure everything you need to know is all there in one spot. Did you forget to vote your mail in Ballot???? Why would you vote for Rick Kriseman? Where is Your Mail In-Ballot?